The option of clean & check service will ensure a technician come to your home or business and check your unit for problems. We also clean your unit to make sure it is clean of debris and dust so it will work properly for the upcoming seasons, whether it is hot or cold outside. We want to make sure that each customer can easily afford a new installation. This is why we offer an affordable financing plan so each family can afford a new unit. Homeowners will be given the opportunity to finance through our company and then pay a small monthly fee for their new installation. We're proud of our years of service to the Livermore, CA area and look forward to helping you with your air conditioning and heating needs. O.K. 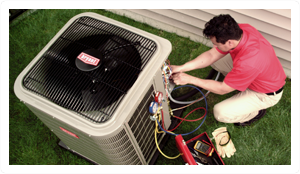 Heating and Air Conditioning’s expert team installs only the highest quality equipment. Energy efficient and long lasting, Bryant units are the best on the market. Contact us today for an estimate to get your home comfortable again! With a Service Agreement, you won’t have to worry if anything unexpected happens to your system. Our Service Agreements ensure you stay comfortable no matter what. Start saving money today by replacing your old system with a high-efficiency Bryant system. 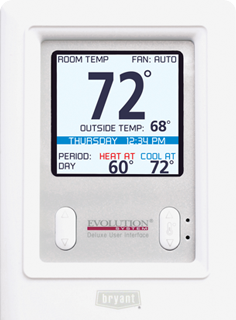 Not only will it lower your energy bills, but you’ll have better control over your indoor comfort. Contact us today for a free estimate! Our HVAC experts at OK Heating and Air Conditioning have been recognized as the HVAC company Livermore locals call first for all of their Livermore heating and air conditioning services, since 1976. With over 40 years of experiencing servicing the Walnut Creek, Pleasanton and Livermore areas, we have a tremendous understanding of the seasons we face hear in Northern California. This gives us an uncanny ability to quickly and effectively service both residential and commercial properties. We’ve seen it all and done it all. This means no time is wasted on costly service calls, and estimates, but rather, we get to the service site and start work right away. Our experience gives our customers confidence in our estimates and services and we never disappoint. We also follow up our quality services with products of equal quality from HVAC industry leader, Bryant®. As a factory authorized dealer of Bryant® products, we only offer the highest quality air conditioning units, water heaters, furnaces, heat pumps, air purifiers, etc., while still having the ability to service HVAC systems of all types and brands. If you are in the Livermore area, OK Heating and Air is the HVAC company that you call when you need fast and trustworthy repair on your home or business’s HVAC system. As we understand the importance of cooling your home in the summer and heating it in the winter, we provide emergency service calls. Contact OK and we will promptly send out one of our HVAC technicians to provide comprehensive diagnostics and give you a free estimate on the repairs needed. NEED EMERGENCY SERVICES? CALL US NOW! Whether you are a new homeowner, or looking to upgrade your older system, the technicians at OK Heating and Air provide exceptional installation jobs through prompt, friendly and capable servicing. Reach out to our office to discuss your options for a new HVAC system in Walnut Creek, or have one of our specialist inspect your existing unit to make sure that replacement is necessary. You won’t be disappointed with your new system. As a factory authorized dealer of Bryant® products, we only offer the best in new HVAC equipment. Keep in mind that newer equipment is designed with energy efficiency in mind. 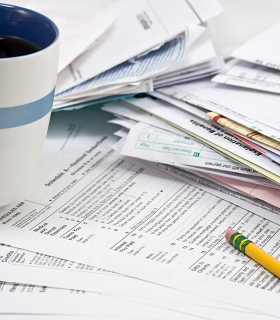 This may qualify you for a tax rebate and you can take advantage of secure financing through Bryant Retail Financing. Make sure your investment lasts as long as possible through routine servicing and maintenance. Signing up for our HVAC maintenance agreement ensures you the fastest servicing at the best rates. 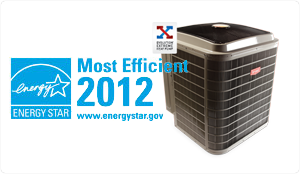 It will also keep your system on track and running as efficiently as possible to save on energy costs. Routine maintenance not only helps your system run more efficiently but it’s also a safety net through preventative maintenance and diagnostics. If there is an issue with any part of your system, our technician will spot it before it becomes a larger issue or renders your home without a home comfort system during a hot or cold season. Read about our maintenance agreements for more information on how to get the best discounts on parts and services. For any of your heating or cooling needs, call OK Heating and Air in Livermore. Our 40+ years of experiencing serving this community gives us the ability to provide the best services for HVAC repairs, installation and the understanding of which products to carry that offer the most efficient temperature control capabilities for our climate. WANT TO SAVE MONEY ON MONTHLY ENERGY BILLS?